Whoops, haven't had time to do a real post in a while. The good news is I finally got my Nubar and NYX polishes that I've been waiting for. The bad news it that it was too dark today to take any pictures. I'm in a purple mood again. Here are a couple of my favorites. Zoya Yasmeen. In my opinion, this is one of the best purples on the planet. 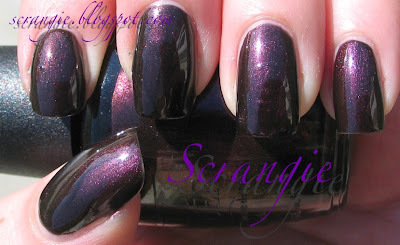 The Polish Addict has a post on neon purples this week, you should check it out! Neon purples are awesome! Oh wow thanks for posting this, just in time too! 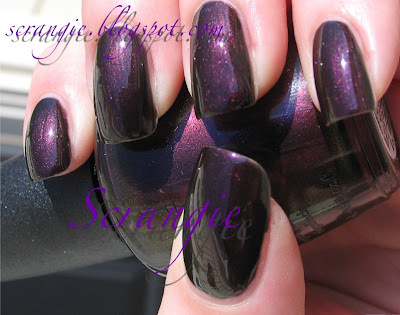 Its my friends birthday next week, shes a lover of purple, so I was looking for a beautiful purple nail polish. Oh and....do you have OPI purple with a purpose? Yes, I have Purple With A Purpose and I can try to snap a pic when the sun comes out today. It's a pretty color, but it's somewhat sheer. It needs at least three coats to look like the bottle.